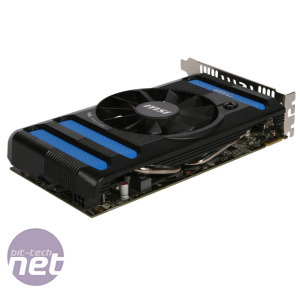 When it first launched, we were unable to give the stock AMD Radeon HD 7850 2GB a final verdict, primarily because we were never given a stock card, instead testing a HD 7850 GPU fitted to a stock HD 7870 2GB PCB (with just a single PCI-E connector). With no official stock card, custom PCBs and cooling layouts from various board partners make up the HD 7850 range, which now comes in 1GB and 2GB flavours (although the 1GB SKU is not officially supported by AMD). This has led to a high degree of variety in the prices of the cards – 1GB versions can be found for as low as £120, whereas 2GB versions retail for anywhere between £150 and £190. 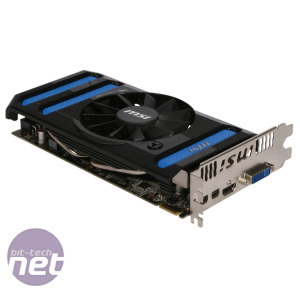 At a scratch below £120, the MSI Radeon HD 7850 1GB OC is currently the cheapest HD 7850 card on the market. 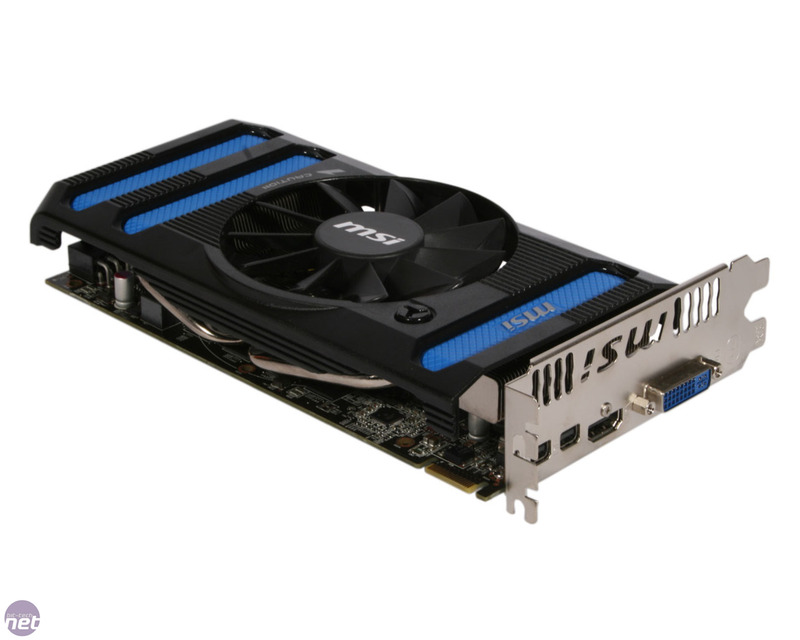 Its price brings it much closer to the HD 7770 1GB's current £90 price tag, and makes it cheaper than either GTX 650 Ti cards (1GB or 2GB) that we reviewed last month. As the HD 7850 2GB easily outperformed both of these cards in our benchmarks, we were excited to see if MSI's 1GB version of the card could do the same. 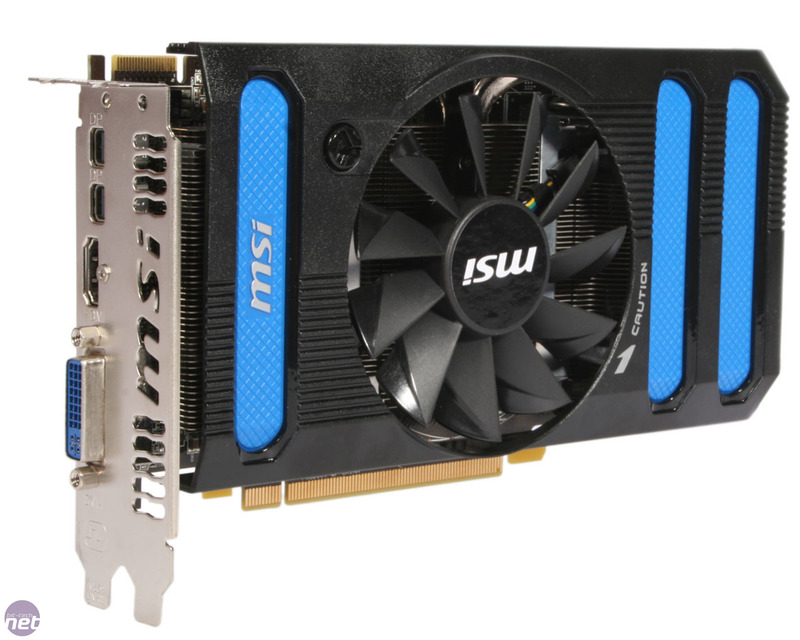 Other than the 1GB reduction in GDDR5, the MSI HD 7850 1GB card is identical to and the standard HD 7850 2GB, and uses the same the 2.8 billion transistor Pitcairn Pro GPU. 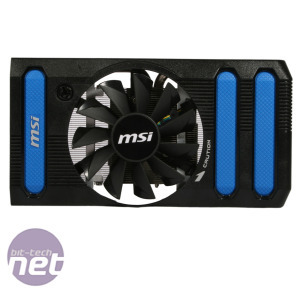 MSI has also given its HD 7850 1GB a modest 40MHz core overclock though, bringing the clock speed up from 860MHz to 900Mhz. As a reminder, the HD 7850 1GB GPU features 32 ROPs as well as 16 compute units (for a total of 1,024 stream processors). Four 64-bit memory controllers give the card a 256-bit memory interface, and since MSI has left the memory frequency at the stock speed of 1.2GHz (4.8GHz effective), its card boasts 153.6GB/s of total memory bandwidth. As we wrote previously, the card essentially has twice the resources of the HD 7750 1GB, although in this case, carries the same amount of GDDR5. 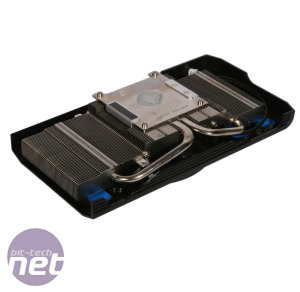 The card itself sports a 200mm PCB, although actually measures 207mm in length thanks to the slight overhang of the cooler. 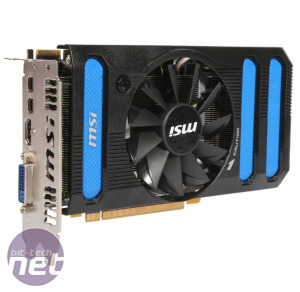 It's a dual-slot card, and MSI has stuck with the standard array of rear I/O connections; dual-link DVI, HDMI and a pair of mini-DisplayPort connectors. 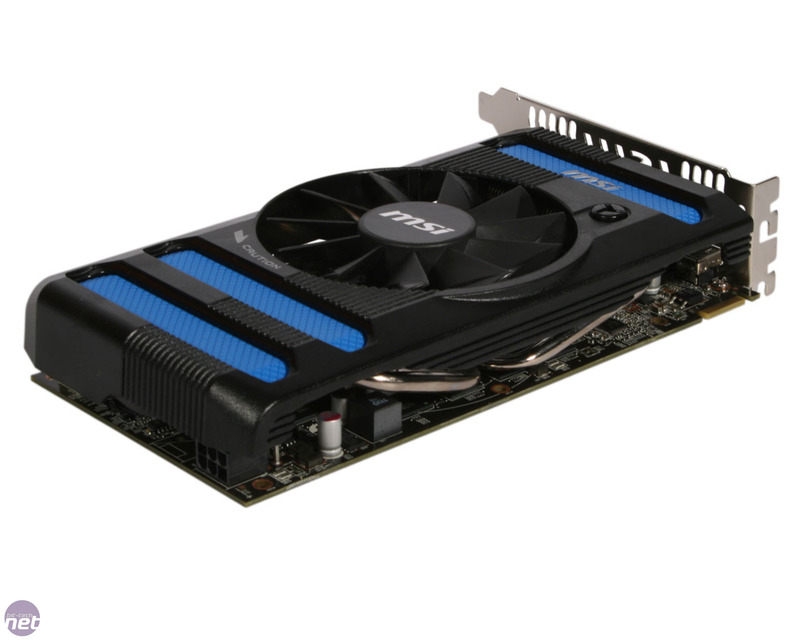 It therefore supports six-screen Eyefinity, as well as two-card CrossFire, and is powered by a single side-mounted six-pin PCI-E connection. The GPU sits in the middle of the PCB, with the four memory controllers each addressing two of the eight 128MB memory modules around it. 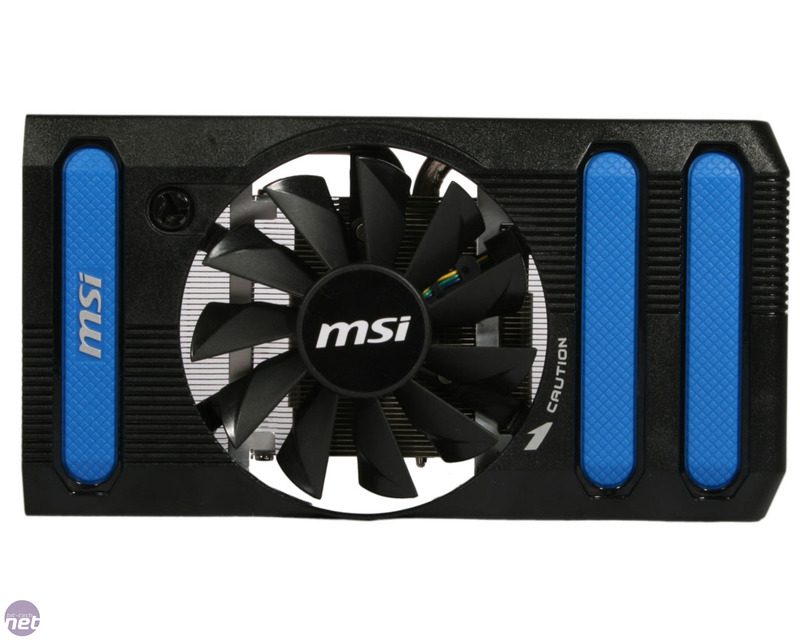 Three of the four power phases near the rear I/O panel power the GPU with the other reserved for the memory, giving the MSI HD 7850 1GB a total of 4+1 power phases. 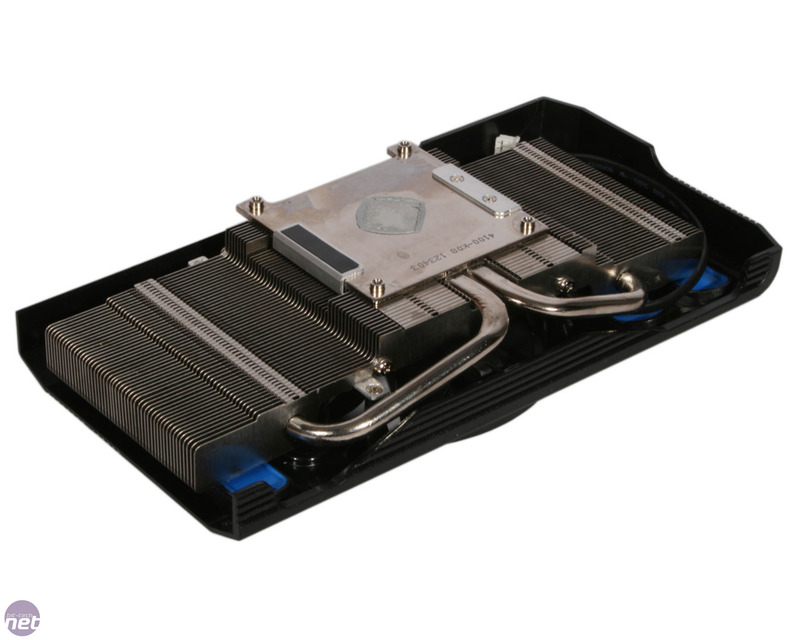 The cooler, held in place by four screws, makes direct contact with the GPU, transferring heat away from it via two copper heatpipes into the large aluminium fin stack. As the fins cover almost the whole length of the PCB, they provide some passive cooling to the memory and power circuitry. A single 92mm down-draft fan completes the cooling, although some its air is exhausted back into your case, which is something to be wary of. First desktop GCN 2.0 part launching in April. Helps Lara Croft gets the salon look.